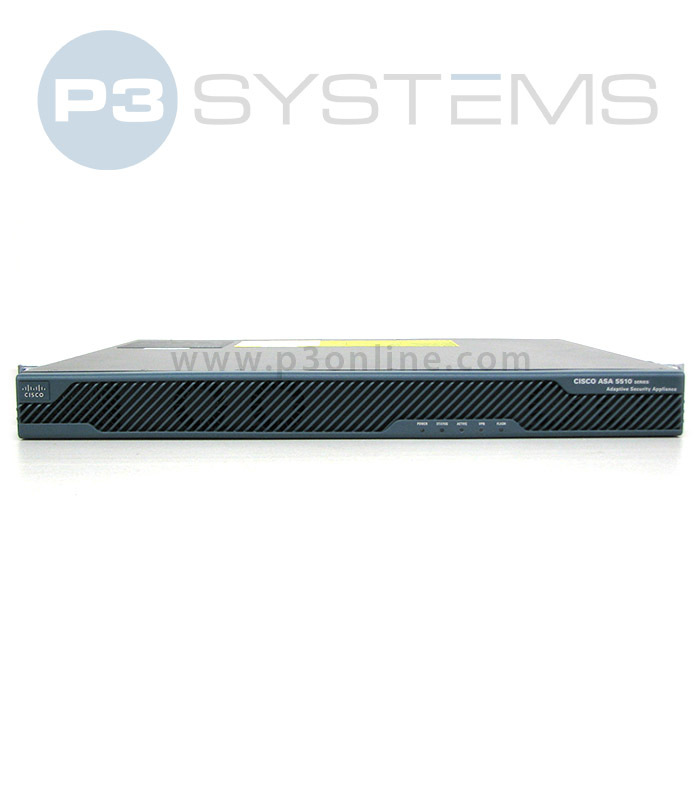 Cisco ASA5510-SEC-BUN-K9 - Buy and Sell Used Cisco Hardware | Best prices on new, used and Cisco Excess. ASA 5510 Security Bundle with 250 IPsec VPN peers, 2 SSL VPN peers, 3DES/AES, and stateful firewall. Price not listed online? Contact us for a quote! The Cisco ASA 5510 Adaptive Security Appliance Security Bundle provides small and medium sized businesses and enterprise branch offices with an easy-to-use cost effective security solution. Offering services such as high-performance firewall and VPN across 3 FE and 2 GE interfaces, the ASA 5510 Security Bundle is a great fit for mid sized companies that need a comprehensive hardware security solution in a switched network environment. The ASA 5500 platform is highly scalable, and the Security bundle expands the base functionality of the ASA 5510 to include a much more robust feature set, including ?the upgrade of two interfaces to 10/100/1000, expanded VLANs and VPN support, Active/Active and Active/Standby high availability services, and increased user licensing. ?Additional AIP SSM and CSC SSM modules offer high performance intrusion detection and prevention services, as well as malware and worm detection and protection services. © 2017 P3 Systems. All Rights Reserved.